The 2015 Blanc de Lynch Bages, 50% Sauvignon Blanc, 33% Semillon and 17% Muscadelle, matured in 45% new oak. The yields were just 29.8 hectoliters per hectare, because of the dry growing conditions that particularly affected the Sauvignon Blanc. It has an attractive bouquet with scents of lime, gooseberry and beeswax, the oak neatly enmeshed. The palate is fresh and vibrant, harmonious in the mouth with a twist of bitter lemon on the mid-palate, easing down towards the finish with Cornice pear and citrus peel notes. There is very pleasant salinity on the aftertaste that urges you back for another sip. 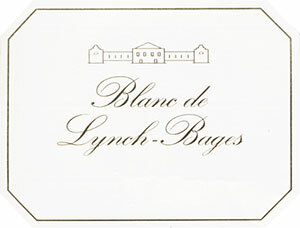 This is an accomplished Blanc de Lynch Bages that should offer several years' drinking pleasure. There's terrific zing and precision here, with tangerine and white peach notes allied to a steely spine and leading to a long fleur de sel finish. Should unwind slowly and will likely do well in the cellar. A bright and flavorful white with sliced apple, pear and mango follow through to a full body, crisp acidity and lively finish. Lots of white peaches too. Very pungent indeed. Almost Kiwi richness on the nose. Lots of depth though. Really racy.